The emergence of comparative literature as a scholarly discipline can be related to the development of one of its most traditional fields: imagology, the study of cultural stereotypes as presented in literature. Both have their roots in the early nineteenth century when the academic study of literature along national categories was closely linked to political demands for national unity, and when comparisons between both different literatures and different nations were thought to contribute to the field of ‘Völkerpsychologie’. The ties of early imagology in an ethnically-deterministic way of thinking have led to a relatively problematic status of this field within comparative literature as studied after 1945. 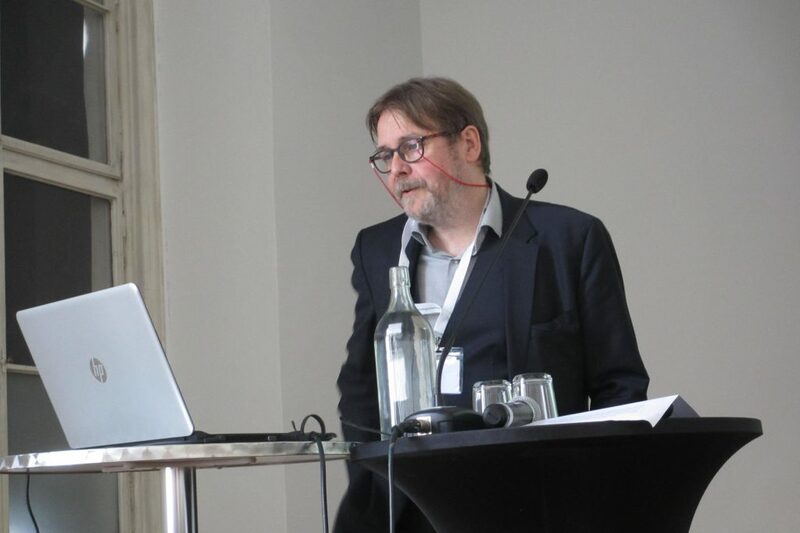 Although renowned imagologists such as Joep Leerssen (Amsterdam, NL), most recently in the conference’s keynote lecture on Nationalism and National Self-Image, have long since introduced a constructivist approach, which studies representations of national character as discursive objects, narrative tropes and rhetorical figures, in short as “cultural practice” in artistic production and not as verifiable statement about an aspect of the world, imagology has hardly gained the prestigious status other fields enjoy within comparative literature. 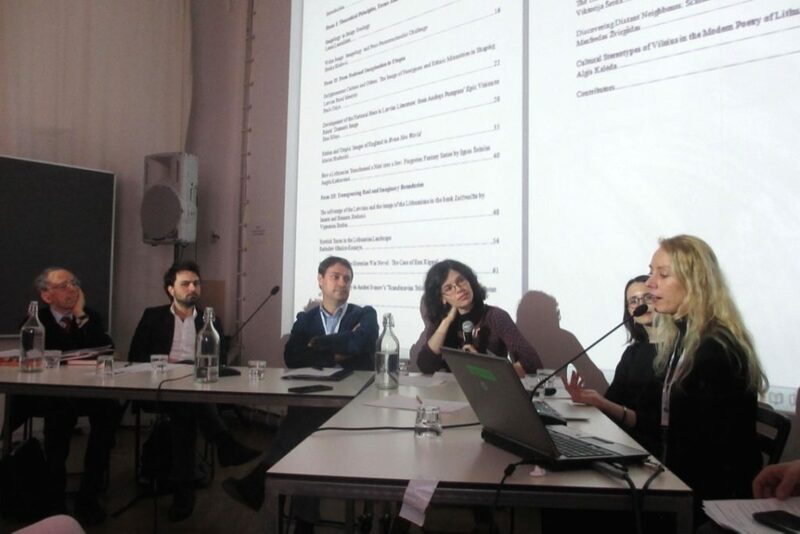 But since ethnic stereotyping gained “new political virulence” (Leerssen 2016, 29) in the current ethnopopulist climate, the three-day conference, organized by five researchers from the Department of Comparative Literature at the University of Vienna, including three VDA doctoral fellows – Katharina Edtstadler, Sandra Folie, and Sophie Mayr – aimed to promote academic discussion on new perspectives on imagology. 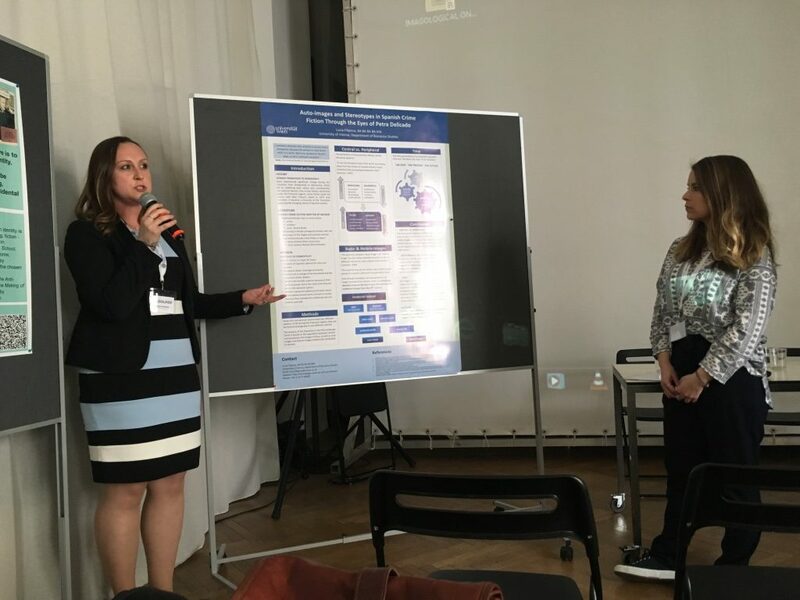 In twenty-six presentations, international scholars shared their findings on strategies of Othering within a trans-disciplinary framework of different theoretical approaches from Postcolonial Theory to Gender Studies, from Intermediality to Musicology, in order to fathom the boundaries of imagological research today. An additional Poster Session gave students the opportunity to present their research on hetero- and auto-stereotypes within literature. Featuring the famous Völkertafel (Table of Peoples), an oil painting from the early 18th century depicting European peoples and certain ethnical stereotypes attributed to them, the Austrian Museum of Folk Life and Folk Art (Volkskundemuseum Wien) represented a suitable venue for the conference. 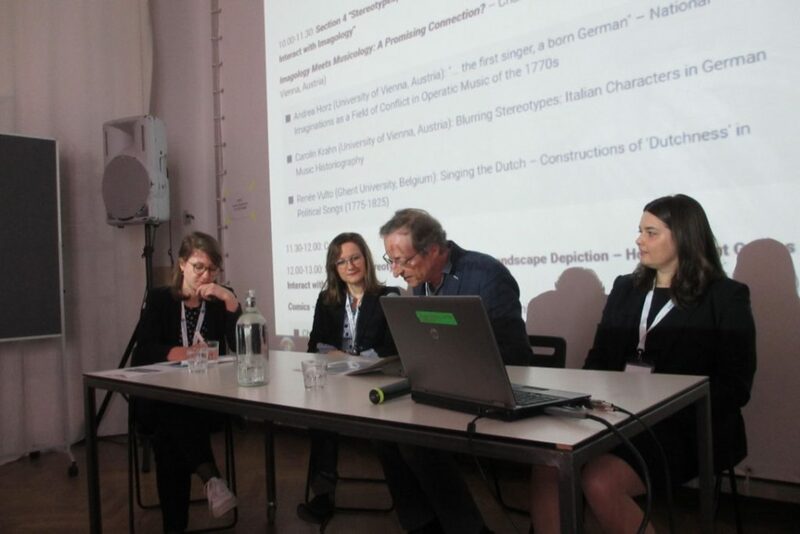 A public reading by the Israeli-Austrian author and essayist Doron Rabinovici complemented the programme – Rabinovici’s novels Die Außerirdischen (2017) and Ohnehin (2004), which portray national and ethnic stereotypes, prejudices, and expectations in an unvarnished, yet humorous way, paved the way for lively discussions on ethno-types in contemporary arts and media. 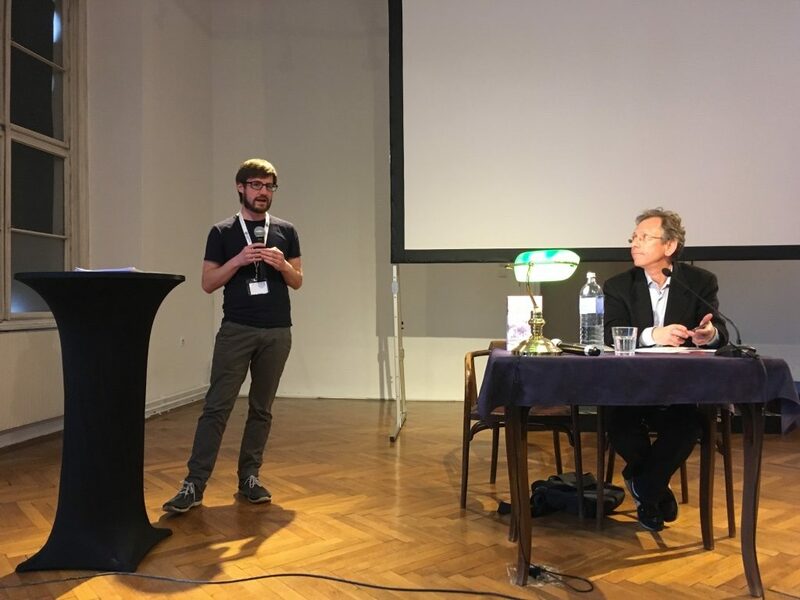 After opening addresses by the organizing committee, VDA-vice speaker Univ.-Prof. Dr. Peter Becker, comparatist Univ.-Prof. Dr. Norbert Bachleitner, and museum director Dr. Matthias Beitl, a kick-off section focused on a “Rethinking of Imagological Key Terms.”. Melis Menent (Sussex, UK) explored in her talk the ambiguous role of images, for example of national identity, as clusters of meaning in social and communicative interactions. Maria Weilandt’s (Potsdam, DE) presentation advocated a (self-)critical conception of imagology based on a study of intersectional dynamics (gender, sexuality, class, religion, age) in combination with notions of national characteristics by using the stereotype of the “Parisienne” as an example. 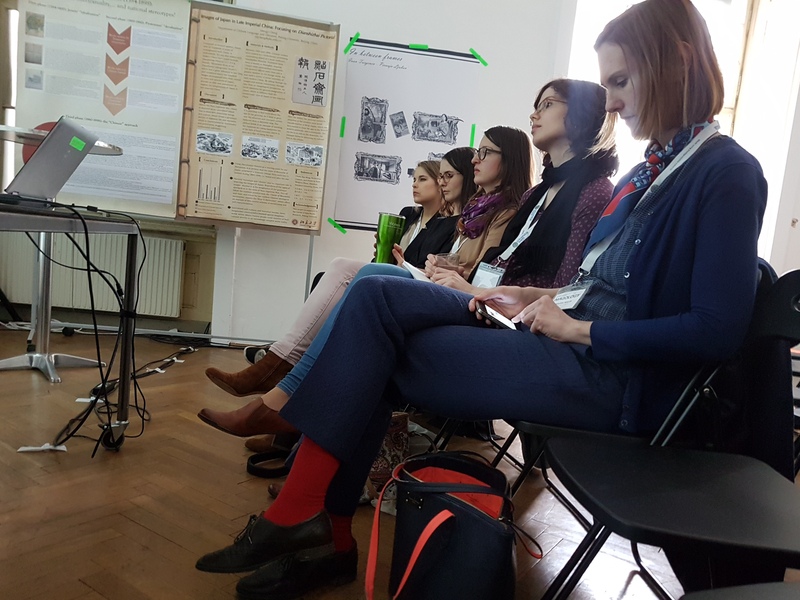 Intersectional approaches towards ethno-types were also key in the conference’s second section (Intersectional Approaches to Imagology: The Multiple Entanglements of Ethnotypes). 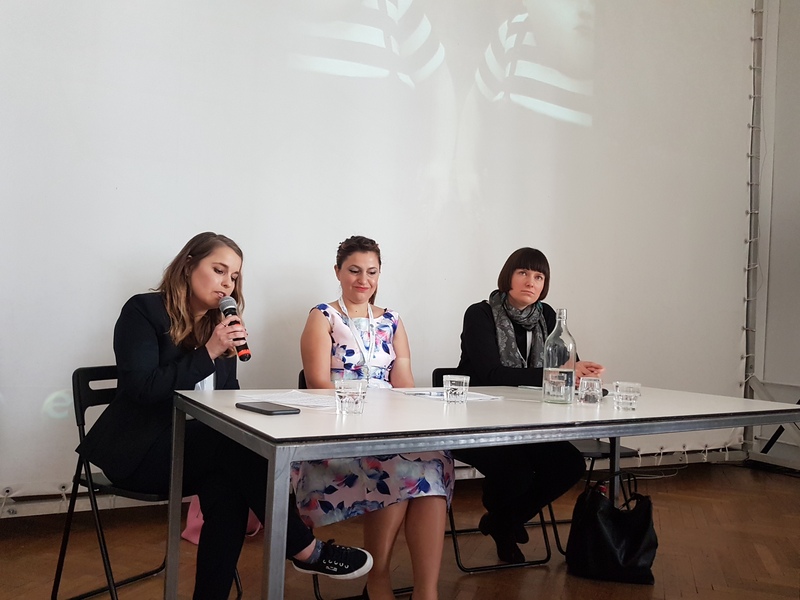 Barbara Ludwiczak (Rzeszów, PL) introduced a gender-orientated imagological model that consists of the two binary categories Alter/Altera (male resp. female Others) and Alius/Alia (male resp. female Strangers). This new model can contribute to a feminist and postcolonial analysis of literature, as she showed by an analysis of Charlotte Brontë’s novel Jane Eyre. 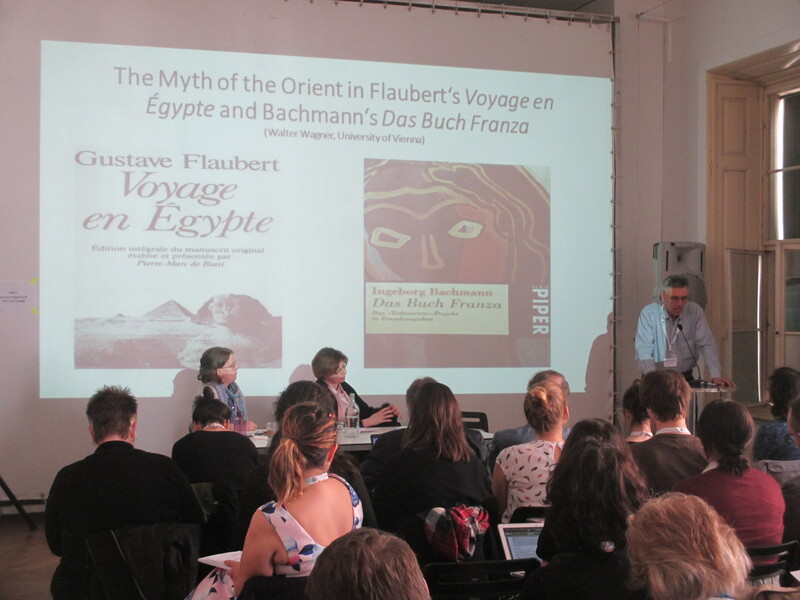 Walter Wagner (Vienna, AT) focused on hetero-stereotypes of the Orient in Gustave Flaubert’s Voyage en Égypte and Ingeborg Bachmann’s Das Buch Franza, in which the authors fictionalize their impressions of Egypt in diametrically opposed ways, the first reproducing a discourse of pejorative Orientalism, while the latter reflects on economic and cultural imperialism in a critical way. The second part of the section centered on colonial, feminist, and queer voices within imagological representations: Dora Nunes Gago (Macau, MO) related postcolonial and imagological theories of Leerssen, Spivak, Bhabha, and Said to novels by the 20th century Portuguese writers Maria Ondina Braga and Rodrigo Leal de Carvalho, both living in the Portuguese colony Macau in China and describing the cultural differences between East and West. 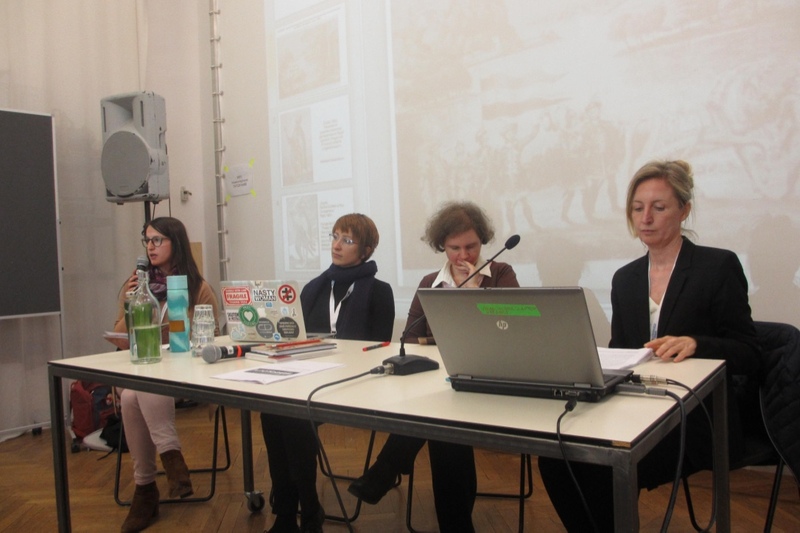 Ivana Drmic (Bonn, DE) opened the field to intermediality: She investigated the victimization of Balkan women in cinematic presentations of the wars in former Yugoslavia, comparing a Hollywood film’s patronizing view of Balkanism to a more emancipated filmic Bosnian self-image. Kifah Hanna (Trinity College, USA) linked sexuality discourse and ethnic identity in queer Arabic literature which presents the alterity of marginalized homosexuals in Arab societies. In Hoda Barakat’s novel The Stone of Laughter, for example, homosexuality can only be spoken of in English, the language of the Western Other, instead of the author’s native language Arabic. The third section “Imagology in a Transnational, Post-Colonial, Globalized World” featured migrating, bordering, and expatriating experiences throughout the world. Johan Schimanski (Oslo, NO) mapped an imagology of Northernness in opposition to the global South, often combined with topological stereotypes such as arcticity and winterliness, from the perspective of contemporary Caucasian, Somalian, Syrian, and Indian writers who record their migration to Norway in fictional and autobiographical narratives. Kata Gyuris (Budapest, HU) dedicated her presentation to Adichie’s novel Americanah, a classical object for imagological and postcolonial research as it portrays imagined communities, personal expectations, and stereotypical images of the other in various socio-economic groups among migrants from Nigeria to the US and the UK who then re-migrate to Nigeria and experience a form of discrimination within their formerly own culture. Manfred Beller (Bergamo, IT), a key figure in imagological theory, stated that nationalisms do not represent core interests of immigrants in Europe as depicted in literature by Salman Rushdie, Tahar Ben Jelloun, or Rafik Schami, but that conditions of everyday life – language, homelessness, questionableness of identity – are considered more significant than discourses of nation or peoples. 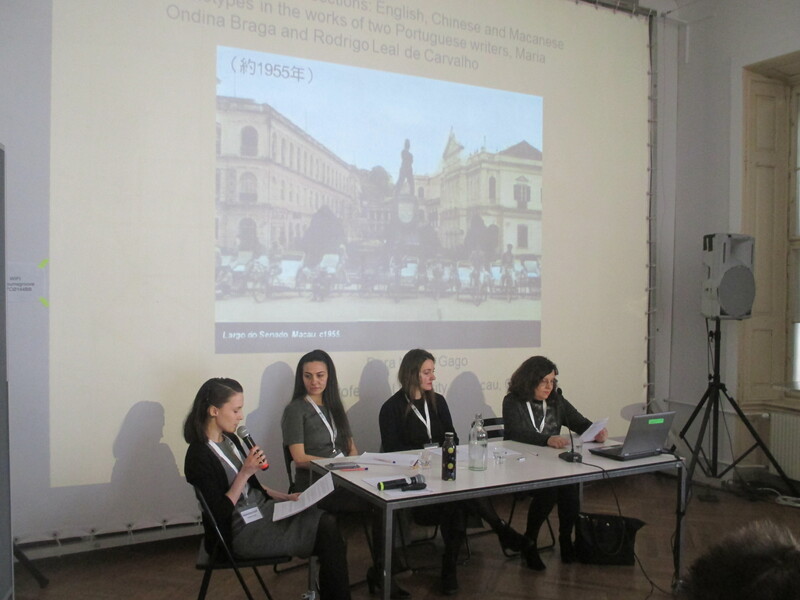 Laura Laurušaite (Vilnius, LT) outlined the liminal position of the Baltic countries within Europe. Shaken through their political history as a former part of the USSR and culturally coined by Western Culture, their national identity fluctuates between Eastern and Western as well as Northern and Central Europe, both in hetero- and self-depictions which often exploit a notion of barbarism in an ambivalent manner. Josip Kešic (Amsterdam, NL) compared central and peripheral European national images of Post Franco-Spain and Post-Tito-Balkan which have both reproduced and deconstructed categories of (Un-)Europeanness, for instance in the figure of the “gipsy”-woman Carmen who has been ascribed a certain “Spanishness” in literary, musical, and cinematic adaptations, and in a similar story, which replaces Spain with the Balkans. The final section (Stereotypes. Nation Building, Landscape Depiction) examined how different genres interact with imagology, offering research on a variety of media, including literature, visual arts, music, journalism, comics, and children’s books. Ulrike Kristina Köhler (Lüneburg, DE) traced stereotypes of masculinity and femininity as well as of “Englishness” and “Frenchness” in their epoch-specific manifestation in the Romantic period in England via political essays, travelogues, Gothic novels, and ballads, thus integrating generic discussion into a discourse of national identity. Wenjun Zhu’s (Brussels, BE) talk explored the interface between cultures as well as between text and picture: She presented a Chinese travel journal from the 19th century, rooted in a Sinocentric worldview which, in contrast to Said’s concept of Orientalism, can be considered as Occidentalism. Travel genres were also Mateusz Orszulak’s (Munich, DE) subject as he analyzed images of the Ottoman culture in generically hybrid travel diaries that cannot be pinned down to one category only. 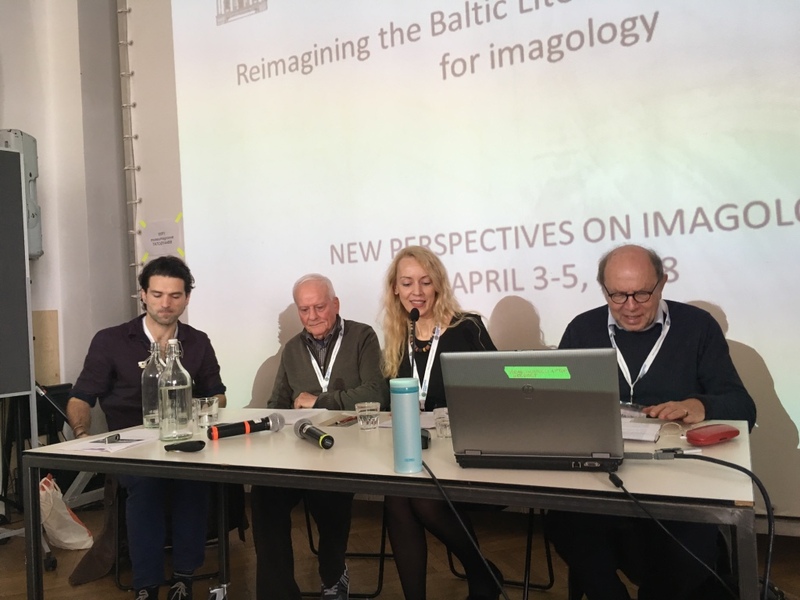 The presentations gave rise to a lively discussion on Bakhtin’s concept of Heteroglossia, posing questions concerning the inter-medial adaptability and translatability of the arts, before the programme moved on to a panel on imagology in musicology. 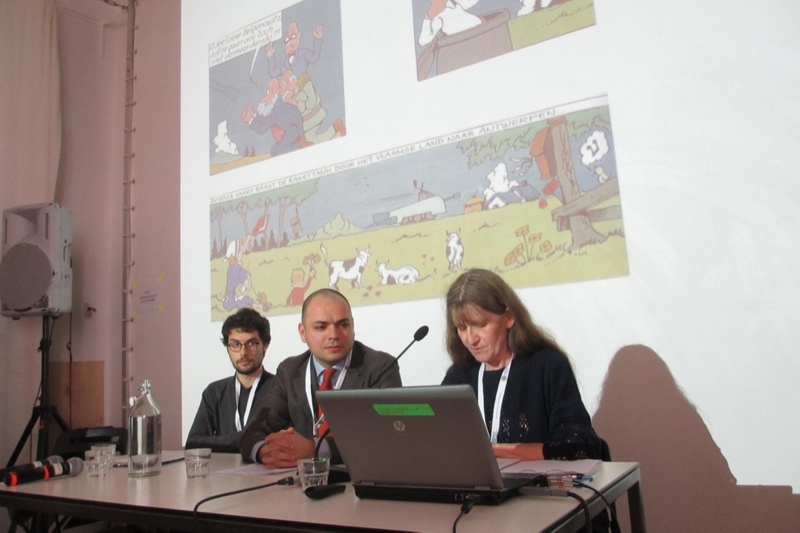 The imagological potential of comics and cartoons – genres that combine visual and textual material and are thus capable of transmitting stereotypes in an instantly recognizable way – was illuminated in two presentations: Christine Hermann (Vienna, AT) investigated the simplifying (re)presentations of foreign national characters in the Flemish comic series Suske en Wiske, which follows the adventures of Flemish children travelling the world. Daniel Brandlechner (Vienna, AT) presented an excerpt of his research on the depiction of natural catastrophe in media focusing on the myth (in Barthes’ usage of the word) of “Italianicity” as reproduced and parodied in cartoons of the earthquake in Amatrice in 2016. National stereotypes in educational contexts across artistic genres were discussed by Tünde Varga (Budapest, HU), who analyzed a 19th century painting of the Hungarian national hero Árpád by Jószef Wieser and drew a connection to contemporary arts, and Krisztina Péter (Budapest, HU), who examined the propagandistic ethno-types presented in Hungarian elementary school books from the interwar period which closely resemble the national images on the Völkertafel. Kristína Kállay (Bratislava, SK) presented another means of ethnic stereotyping between the World Wars: She concentrated on the issue of European colonial subjectivity in children’s literature from Slovakia, at that time a newly established state in need of cultural identification: The protagonists, a Slovak rabbit couple, are depicted as the bearers of civilization, superior to animals and even humans from any non-European country. Although dealing with supposedly innocent genres – children’s books, school books, comics, cartoons – this panel raised awareness about more or less unmasked racism in educational contexts. 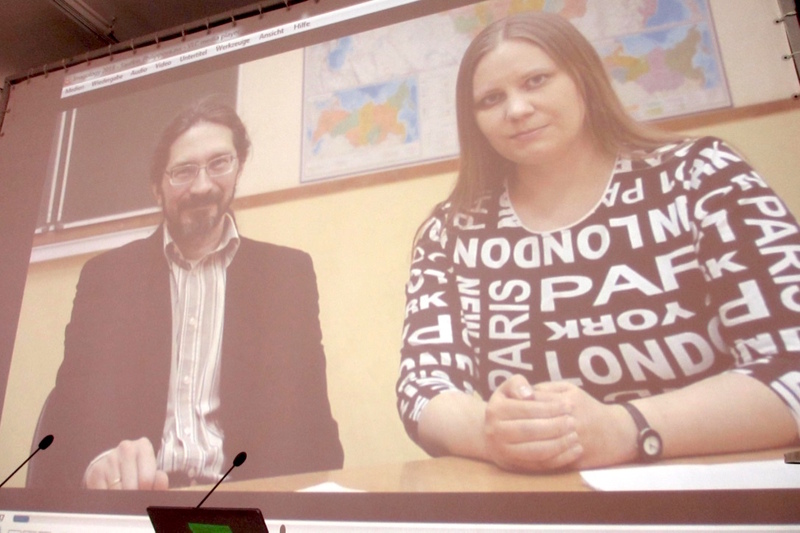 The final panel enacted the crossover of national boundaries on a quite performative level, as Aleksandr Sautkin and Elena Philippova (Murmansk, RU) delivered their presentation via video, defying the geographical distance. Their presentation centered on the metaphorical images of the Other in Science Fiction, a genre eager to construct situations of interaction with the incomprehensible, rejected, alien. 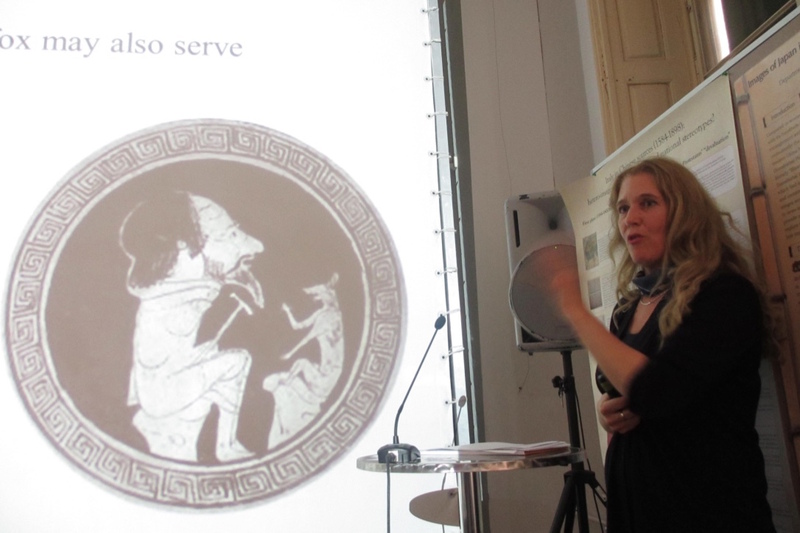 Christine Ivanovic (Vienna, AT) concluded the final section by lifting imagological terminology concerning otherness on another post-human level: She analyzed the image, behavioral patterns, and functions of the animal, in particular of the cunning fox, in beast fables. A closing round table at the end of day three provided a forum to bring several threads of imagological research as discussed during the conference together: Davor Dukić (Zagreb, HR; Vienna, AT), Federico Italiano (Vienna, AT), Herbert Justnik (Vienna, AT), Laura Laurušaite (Vilnius, LT), and Waldemar Zacharasiewicz (Vienna, AT) discussed the possibilities of trans-disciplinary, inter-cultural, and inter-medial imagological research in the 21st century. Unfortunately one of our discussants, Emer O’Sullivan (Lüneburg, DE), who specializes in imagology and children’s literature, had to leave earlier. In introductory statements, the participants explained their connection to imagology and their previous research on stereotypes: Laurušaitė, a postdoctoral researcher interested in imagology and postcolonialism at the Institute of Lithuanian Literature and Folklore, shared her experience as an organiser of the conference Imagology Profiles: The Dynamics of National Imagery in Literature in Vilnius 2015. 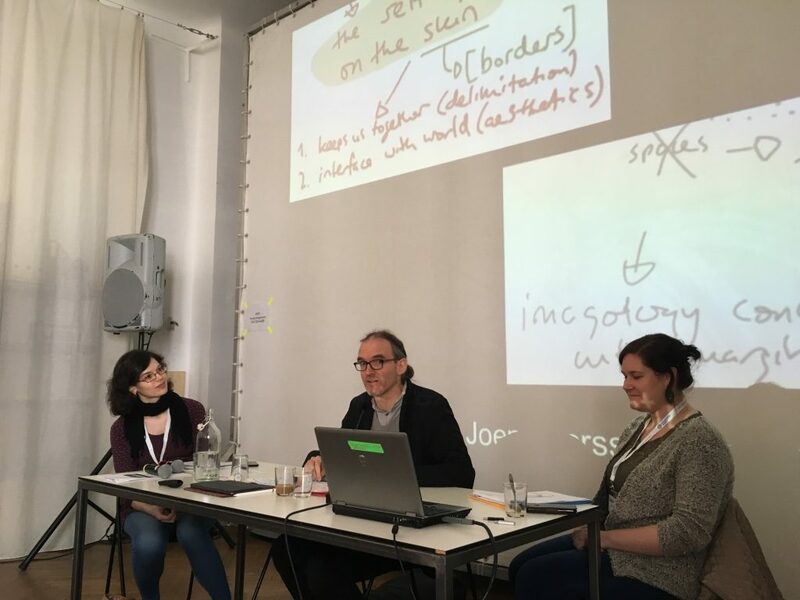 Zacharasiewicz, professor emeritus from Vienna Universityʼs English Department, who has been working with imagology for more than four decades, gave an overview about the most important developments in research on the representation of the Other. Herbert Justnik, the curator of the collection of photographs at the Volkskundemuseum, gave an example of what can be referred to as applied imagology. In 2014, he curated the exhibition Gestellt/Staged, which was on photography as agency within the Habsburg Monarchy and focused on the process of transformation that turned originally individual portraits into certain “ethnic types” such as “the Tyrolian militiaman”. Moving from the Habsburg Monarchy to the Balkans, Davor Dukic, a professor of Bosnian, Croatian and Serbian literatures, explained the significant role of this multi-ethnic region in imagological research. 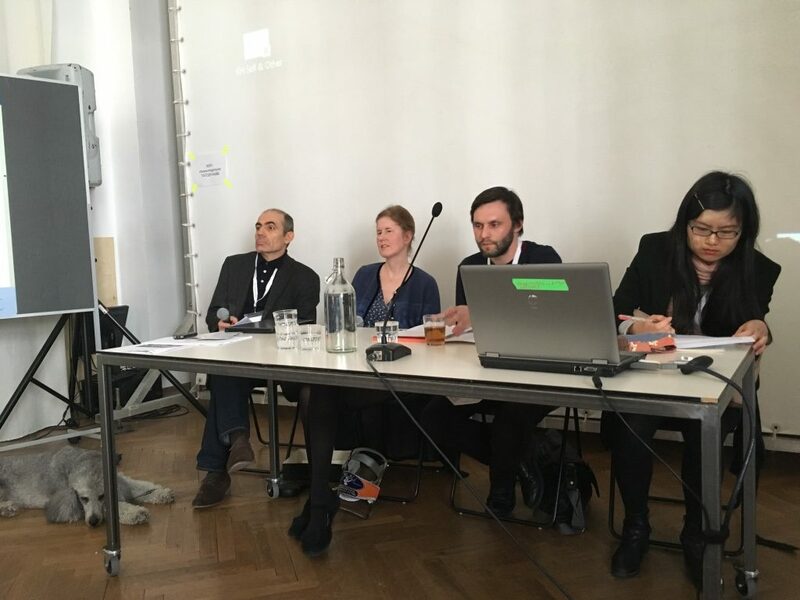 Literary geographies are also key in the work of Federico Italiano, a senior scientist at the Austrian Academy of Sciences interested in the relation between Translation and Geography. Avoiding the term imagology in his research, he argued for a new terminology – a suggestion in stark contrast to Zacharasiewicz, who would rather modify the already existing terminology . With a lively open debate on potentials and weak points of imagological research, questions of genre and genre-specific ways to transport messages fruitful for imagology, and possible “new perspectives”, the round table comprised issues variously touched upon in all the previous days’ presentations. 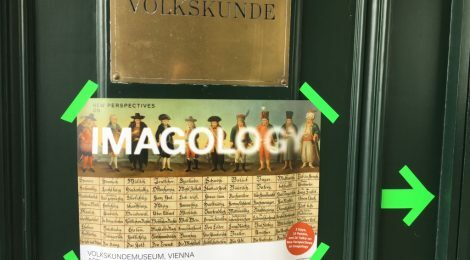 It established space for further trans-national, trans-disciplinary discussion, collaboration, and research projects, the soonest of which will probably be the already planned publication of the proceedings of New Perspectives on Imagology. Leerssen, Joep: “Imagology: On Using Ethnicity to Make Sense of the World.” In: Iberic@l – Revue d’études ibériques et ibéro-américaines 10, 2016, pp. 13-31.